O-Key (Orange Key) is the identity account of each individual who has a formal affiliation with Oklahoma State University. The O-Key credentials - the Campus Wide Identification (CWID) number, O-Key username, email address, and password - are joined in the O-Key account to provide secure single sign-on access to IT and other services. Administratively, O-Key is used to manage access to services based upon the roles of each individual associated with OSU. The O-Key credentials are used throughout the IT systems and many others to provide secure single sign-on access to IT services such as my.okstate.edu, the Software Distribution Center, Virtual Labs, the wireless network, Online Classroom, and many others. This information ties to the ID card for access to campus point-of-sale purchases, authorized controlled access doors, and more. 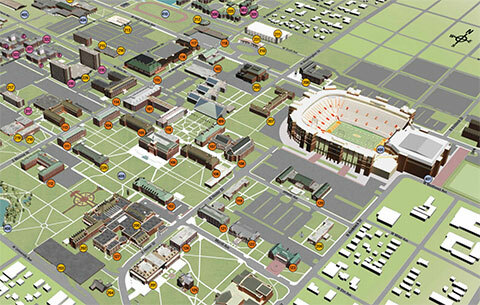 Students use O-Key to select or change their preferred email delivery system - Cowboy Mail or Orange Mail. If you are new to Oklahoma State, you will activate your O-Key account as a first order of business. Click the area in the topmost section – labeled New Users - O-KEY Activation to open the activation function. Follow the prompts for information. When asked for a Social Security Number (SSN), International students should enter the last five digits of the substitute SSN provided by the International Students and Scholars Office. When you are asked to enter a PIN number, you should be able to find it in an email from Registrar’s Office (students) or the Human Resources department (employees). See more information at How do I activate my Orange Key (O-Key) account?